Viacom's unceremonious dumping of its free-to-air music channel VIVA on Tuesday heralded a rout of music channel departures from Freesat this week. At the end of January, The Box Plus Network withdrew its presence from Freesat, causing viewers to lose access to channels including 4Music. 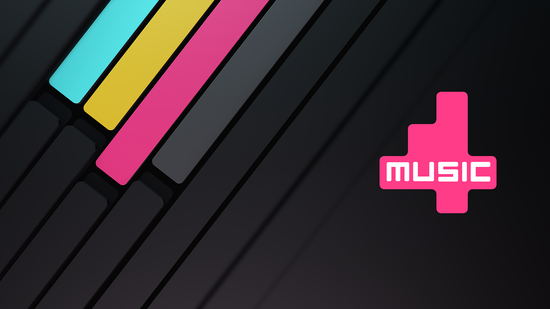 4Music's departure comes only a year after its high-profile arrival on the platform. Its absence had been felt from the very beginning of Freesat, as viewers, especially in poor terrestrial TV coverage areas demanded that Freesat offer the same entertainment channels as Freeview, such as 4Music. VIVA, meanwhile, was replaced by MTV Love. Within hours of launching on Wednesday 31st January it became encrypted. VIVA had been removed a day earlier from Freesat's Electronic Programme Guide. The changes leave Freesat users with a third fewer music channels than a week ago, and while there have been high profile entertainment channel additions in the past 12 months, the channel 500 range on Freesat has become increasingly threadbare. On Thursday, we contacted Freesat for a comment on the dramatic reduction of the music channel line-up. It was unable to provide a response ahead of our publishing deadline. Viewers with Freesat boxes can still view the channels (except the now defunct VIVA) using their receivers, via the manual tuning mode, also known as 'non-freesat mode' on older receivers or 'STB mode' on current devices. 1. Users should press the home button on their remote control and navigate to 'settings'. 2. Once in settings, navigate using the down button to "STB mode". 4. If you've never used this function before, you'll be advised there are no channels available and sent through the channel search screen. 5. Press OK on transponders to reveal a list of frequencies. 6. 4Music can be found on 10714 H, so you can select that from the list and do a scan to add 4Music. For the other channels, see the parameters below. If the frequency doesn't appear in the Freesat channel search screen, select User Define to enter the parameters. 7. To return your box back to Freesat mode, press the Home button and select the option to return to the regular programme list. You will need to switch your receiver to STB mode everytime you want to access these channels in the future. They say the high street is dying. But not on Sky, where another High Street TV shopping channel launched, bringing the total of High Street channels to four. High Street TV is dedicated to showing the latest and bestselling product innovations from all over the world. High Street 1 is now live on Sky 656, with High Street 2 on 658, High Street 3 on 662 and High Street 4 on channel 666. An investigation by Sky has found out that household appliances may be the cause of reception problems reported by viewers of Sky's Ultra HD F1 coverage. Sky spent part of last year investigating reception issues. The frequency used by Sky for UHD makes it prone to interference from Cordless DECT phone, Baby Monitors and other wireless devices. Sky says subscribers should keep such devices well away from their SkyQ box. Sky has made a frequency change to mitigate the issue, but has recently reissued a reminder to advise users to keep such devices away from their receivers. Subscribers to Sky's UHD service encountered a number of teething troubles during 2017, reporting major faults with the service. Sony Crime Channel replaces the current Sony Channel on 6th February 2018. It will appear on Sky channel 157. A statement from Sony indicates that it will launch on Freesat on the 13th February 2018 on channel 143. Freesat viewers can still watch the launch night's programmes. From 9pm, both True Entertainment (142) and TruTV (153) will be simulcasting the channel. Highlights on the channel include the free-to-air premiere of Orange is the New Black.